Some people like their sailings short and sweet. But if you’ve got the cruising bug, how about a trip that really lets you stretch your sea legs? Thirty-five nights. Five weeks. Eight hundred and forty hours. However you stack it, P&O’s Caribbean and USA itinerary is a whopper. And while many cruisers would sign up without a moment’s hesitation, others would fear a bad case of cabin fever. So who’s right? Well, it was a tough job – but I went along to see if you really can have too much of a good thing. Nosing out of Southampton beneath a blanket of cloud, just as the UK braced itself for an incoming storm, morale on board was sky-high. And as I snuggled under my crisp sheets that night, our itinerary ran through my head like a lullaby: Madeira, St Lucia, St Kitts, Tortola, Jamaica, Grand Cayman, Cozumel, New Orleans, Key West, Port Everglades, Port Canaveral, Charleston, Ponta Delgada. With such a dazzling array of destinations, my strategy was to pre-book three excursions with P&O, plus several independent tours, and then to take the rest as they came. As it turned out, some of my favourite discoveries were made on these ‘let’s see’ days. 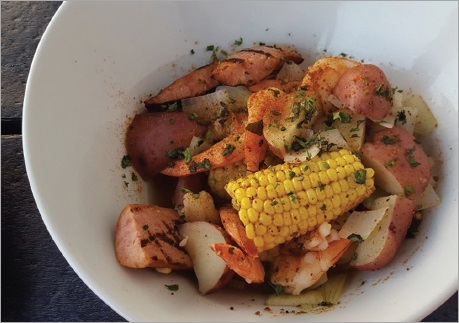 There was Scotchies Jerk House in Jamaica, home of a famously fierce chilli sauce; there was a blissful beach-day on Grand Cayman; and a memorable night in New Orleans. The ‘Big Easy’ was somewhere I had always longed to visit, and Bourbon Street lived up to all expectations. By day it’s pleasantly packed with strolling couples, enjoying lunch at the famous Café Du Monde and exploring the pretty French Quarter with its lively market. By night it’s jumping, with weird and wonderful drinks available at every turn – beware the aptly named Hand Grenade cocktail at Tropical Isle – and you can shop as you bar-hop, with many of the stores staying open till the early hours. Of the tours I booked with P&O, Millionaires’ Miami and the up-close experience at the Kennedy Space Center were outstanding. Within 48 hours I had spotted several huge alligators, photographed Frank Sinatra’s mansion (now owned by his daughter Nancy), whizzed through the Florida Everglades at high speed on an air boat and stood in awe before the space shuttle Atlantis. The great experiences just kept coming, and to cut a long story very short I had the most wonderful time ashore. Well, who wouldn’t? But that doesn’t really give you the full picture. 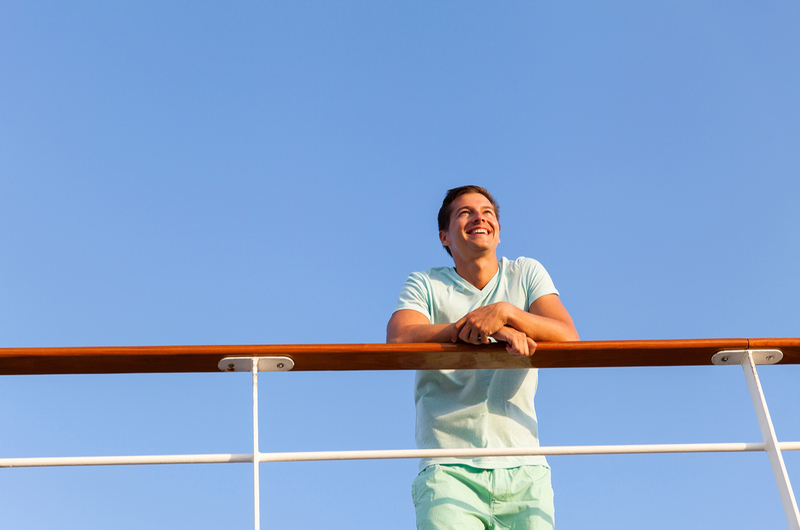 The key fact about a 35-night cruise is that you’ll spend a lot of time at sea – and how you feel about sea days will determine how much you enjoy your holiday. Love them and you’ll be laughing; hate them and you’ll get restless. Towards the end of this trip, our stay in Charleston was unexpectedly cut short, adding an extra day to our Atlantic crossing. There were distinct rumblings of discontent around the decks, and a few passengers even left the ship there and then. Personally I couldn’t be happier when there’s nothing to see but sea. We lead such busy lives that a few days of enforced idleness is a treat, and if you’re the kind of person who can spend long hours happily reading, listening to music or basking in the sun, then you have nothing to fear. Even if you get fidgety, there are always quizzes and deck games, classes and lectures. You’ll find the eastbound Atlantic crossing makes a gentle transition from holiday to home – and if you’re anything like me you’ll need the time to work out how to pack all your shopping. Speaking of packing, your wardrobe for a 35-night cruise needs a little more thought than normal. My advice is to take a little bit of everything. We were sailing from the cold UK to the warm Caribbean and back again, so shorts and jeans were both required (and I was grateful for the latter, as the weather didn’t warm up till we’d left the Azores far behind). I embarked with a mid-size holdall and two large suitcases, one of which was full of toiletries (my plan was to leave behind what I didn’t use up, freeing a whole case for shopping). But however many clothes you bring, on a voyage of this duration you will eventually have to wash them, and that means a visit to the scariest place on the ship. Home of the ladies (and occasional gents) who launder, this nest of gossip and intrigue plays a huge part in life aboard any cruise ship. I have to admit that I usually bribed my friend to take my things along with hers (as many cocktails as she could consume usually did the trick). She would return with the gossip along with the smalls, and one day rumour had it that we wouldn’t make it to the Azores because a storm was brewing. This news evidently reached the bridge because the Captain came on the PA and – to gales of laughter from stem to stern – announced that “contrary to what the ladies in the launderette have been telling you, we will be calling into Ponta Delgado – and on time”. Since I first cruised aboard Oceana in 2011, she has remained one of my firm favourites. Classed as a mid-sized cruise ship, she offers various evening dining options, including The Beach House (previously Horizon Grill) and Café Jardin, whose Italian-inspired menu is created by Marco Pierre White. Both incur an additional charge, but at just £5 and £5.25 respectively, these are remarkably modest. Among the bars, my favourites are the Yacht & Compass for chilly days, and the Pennant Bar on Deck 15 for balmy ones. Pennant offers fabulous views, and I have photographed some stunning sunsets there over the years. On warm Caribbean evenings it’s the ideal place to grab a cocktail and watch the entertainment on Deck 12. Returning to the food (as we cruisers tend to do) it’s no secret that I have an unhealthy addiction to the Buffalo Mozzarella Pizza and Garlic & Chilli Tiger Prawns at Café Jardin. I kept my habit under control – just – but the opportunity to literally eat round the clock for five weeks requires epic reserves of self-discipline. I’m not a greedy person by any means, but if you put a fresh warm sausage roll in front of me, I am going to eat it – that’s just the way it is. The best advice I can give is to let yourself off the leash in the first few days, then gradually rein it back in. I found it was a good idea to avoid the main restaurant on many evenings and grab a plate of something small from The Plaza – Oceana’s buffet option – or order a simple sandwich from room service. And it’s just as well that among its many other facilities – a fully staffed kids’ club, several swimming pools and Jacuzzis, a small casino, a hair salon and a library – Oceana has a decent gym. You’re unlikely to have to queue for the weights machines, however, as the average age on our trip was 67. That’s a little older than you’d find on a shorter voyage, but although my travelling companion and I were among the youngest passengers, we hardly felt it. Our fellow cruisers were a lively bunch and I was especially delighted to run into several old friends from previous cruises. We spent many an evening outside on the open deck chatting, enjoying the music and playing raucous card games (much to the amusement of passing crew). Eventually – inevitably – the clouds returned and Southampton appeared once more on the grey horizon. And that brings me to the very worst thing about a 35-night cruise. You really, really won’t want to come home. Beverages: 330ml bottle of Carlsberg £2.95; Stella £3.95 a pint; Pimm’s Number 1 £4.95; tea and coffee free. Spa: Shampoo & blow-dry from £30; Elemis Tri-Enzyme Facial £93 for 50min; Thai Herbal Poultice Massage £125 for 75min. 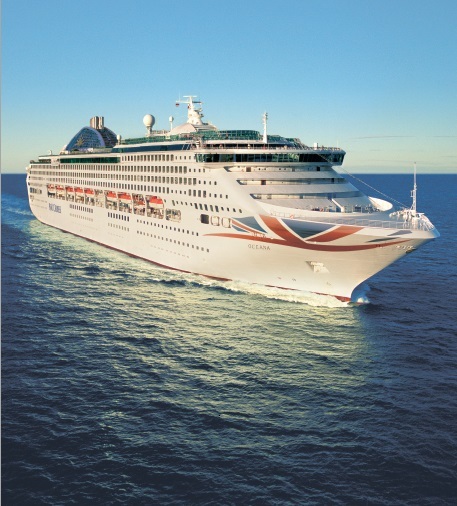 A similar voyage aboard Oriana departs on 22 October 2016 for 34 nights. Fares start from £2,199pp for an inside cabin.